Posted on 22. 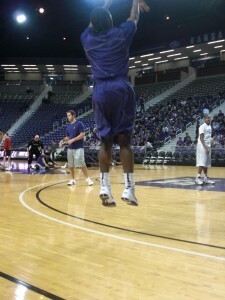 Feb, 2010 by Corey in All, NCAA Basketball. Always trying to stay on the cutting edge of style and equipment, Nike has rolled out another product for its basketball teams to wear. 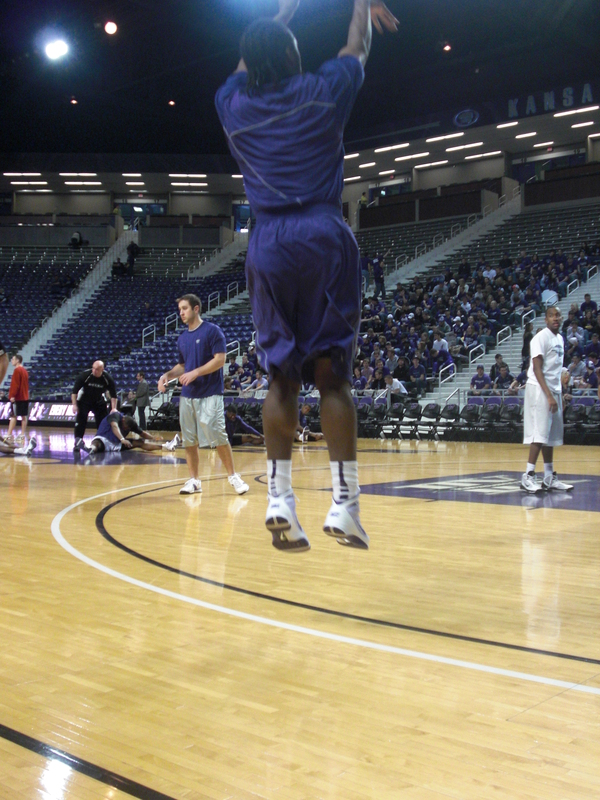 Listed as a “pregame uniform,” players now have the opportunity to warm up on the court for a game in a lightweight jersey and shorts. They can sweat all they want, and still be able to put on their dry and fresh game uniform minutes before tipoff. The pregame shorts are a lighter material and even have pockets in them to stick an ipod while warming up. 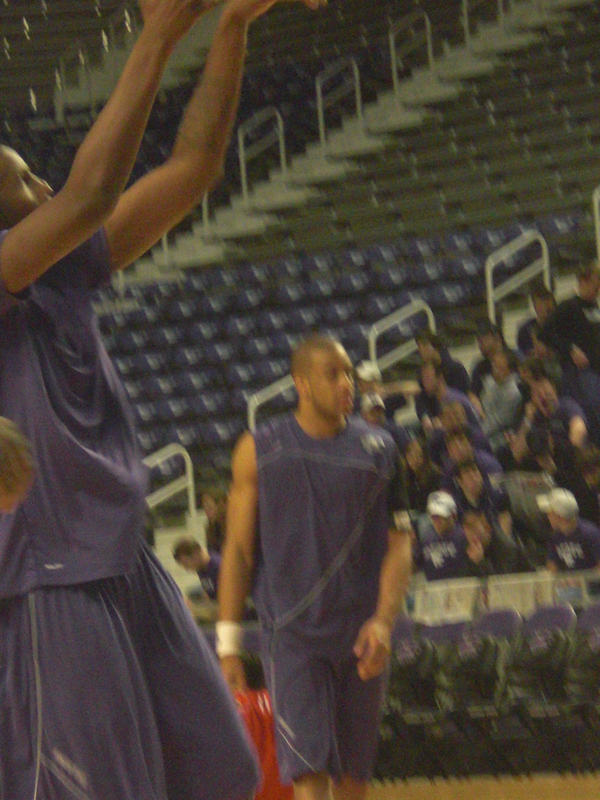 The tops are sleeveless, and are not a favorite of the players. “The shorts are great, but the players would prefer to have sleeves on the tops,” said Assaley. Nike plans on using this product in years to come, as it is listed in next season’s order for the teams. 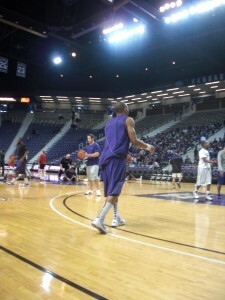 The uniforms only come in one color, purple, but are a great addition to the mix. 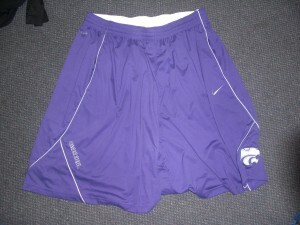 The biggest fans of the shorts are the coaches, who love wearing them and having the pockets at their disposal. 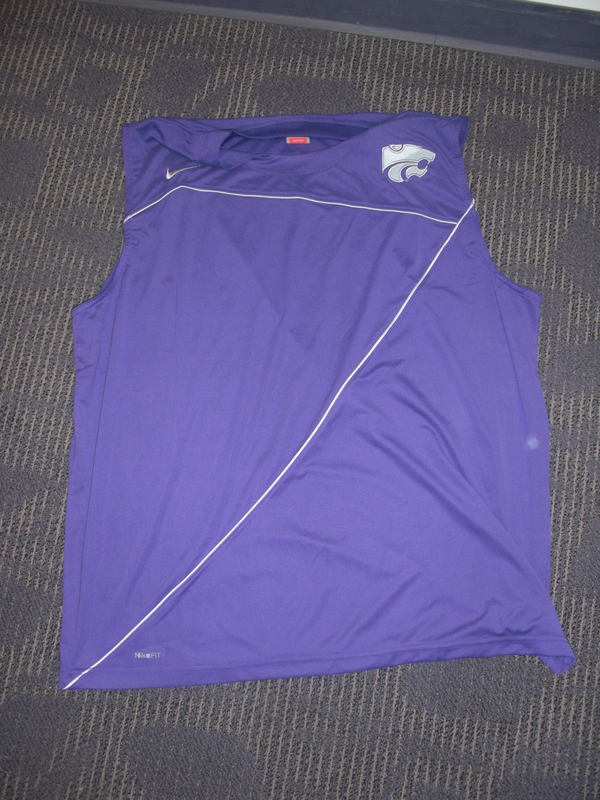 Student managers for the Wildcats are also big fans of the pregame uniforms, giving them more time to prepare the game uniforms each game and also helping to keep them in great shape by reducing the wear. Being a fan of equipment and apparel, I cannot wait to see what Nike rolls out next.